The day started out with grand plans. As it turns out, S and A had flights out of Seattle as well, albeit, they were leaving for San Diego, and at different times. We planned to get into Seatac early (for them), so we can hang out together at the Alaska Airlines Boardroom, using my Priority Pass complementary guesting privileges. Well, a Seattle Mariners game, and a stalling truck on the SR509 derailed our plans. S made it to her check-in with only five minutes to spare. After security check, I thought I only had about 15 minutes at the Alaska Airlines Boardroom (my flight ended up being 30 min late). Located between D and C concourse, and beyond gate D1, the Alaska Airlines Boardroom is a large, two-storey facility with tarmac views. The check-in was friendly, and I proceeded to the upper level. In the evening, they appear to only have a simple salad, soup (corn chowder and Yankee pot roast for the day), crackers, and fruit. They also offer three complementary alcoholic beverages per person, and have a couple of draft beers and four wines. Sodas and caffeine are free flow. The upper level appears to only offer drip coffee. 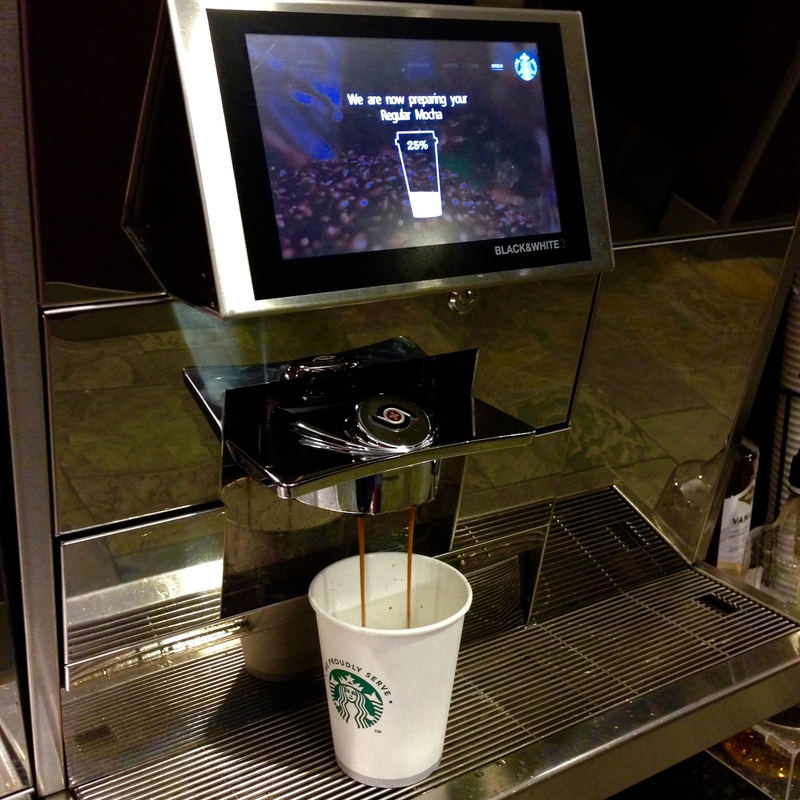 The lower level has the fancy Starbucks machine, which does customized espresso drinks. I grabbed some soup, and a mocha before heading concourse N, where my flight was departing. Here’s where the plan derails. 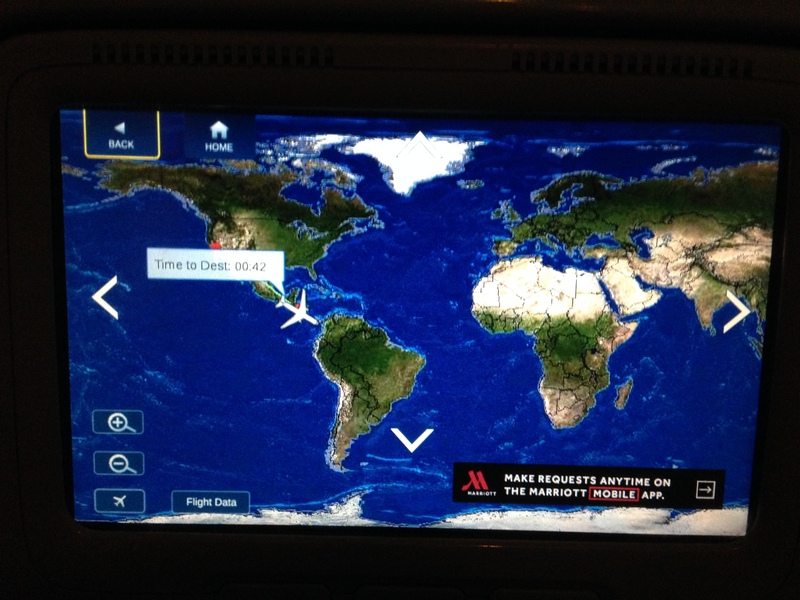 Initially, I was supposed to head towards Panama by way of Mexico City, on Aeromexico. However, my Alaska Airlines flight was delayed by more than half an hour, due to air traffic at LAX (damn you, LAX!). By the time the wheels of my plane touched down at LAX terminal 6, it was 22 17. My flight bound for Mexico City was departing LAX terminal 2 at 23 30. Factor in the time it took to taxi to the gate, and being seated in row 18, I think you can draw your own conclusions. After rapidly walking to terminal 2, and discovering that the Aeromexico check-in counters closed, I walked to the Delta counter at terminal 5. The agent was awesome. Initially, she offered a flight departing the next morning at 8 am, and arriving in Panama City at 8 pm. I pointed out to her that I had a flight out of Panama City at 18 45, so that was not a viable option for me. After doing some magic on her computer, she found me a flight departing for Costa Rica in less than one hour, connecting to Panama City from there. Very grateful that I was not going to miss my flight from Panama City to Havana the next evening, I hustled to the gate to board my red-eye for San Jose, Costa Rica. I am slightly sad that I am not transiting through Mexico City, because I was very excited to try out some of the lounges. But hey, whatever gets me to Cuba! How did I end up going to Costa Rica?? ?